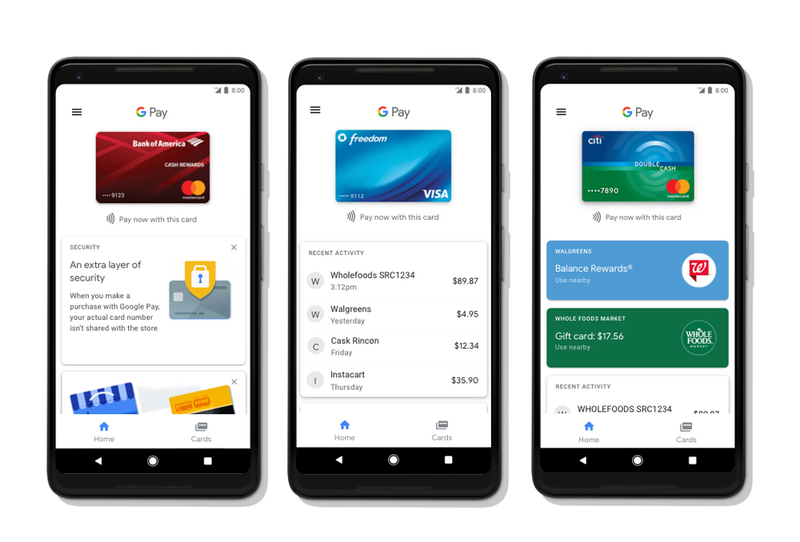 The latest unified payments service by Google – Google Pay – is now rolling out to Android users in several markets across the globe. 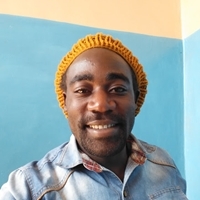 The service attempts to clean out the messy payments system of the company that has seen the likes of Google Wallet and Android Pay rise and fall in such a short period of time. 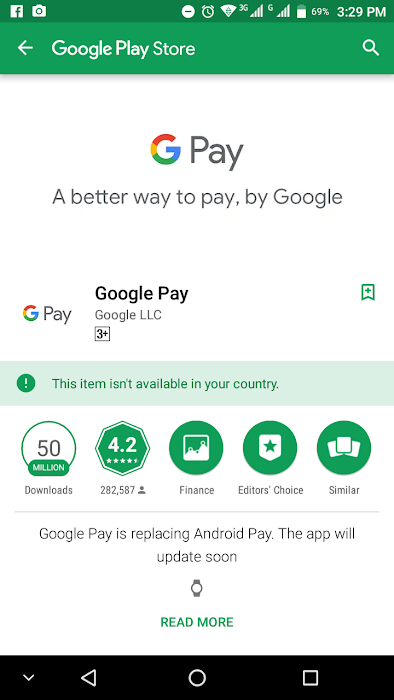 There’s a new Google Pay app available for download, but of course, not everyone can access it at the moment. If you had already installed the Android Pay app, you’ll simply receive an update that brings about the new Google Pay app, but the name of the app’s icon won’t change. Perhaps uninstalling and re-installing the app will change the app’s icon name, if it’s worth the hassle. In the updated version, there are two sections with a Home tab and a Cards tab. Where the former shows recent activity, local stores and available offers, the latter houses your debit, credit, reward and gift cards. According to the search giant, Google Pay will not just be limited to the Play Store, rather, it’ll also make its way to other Google products, among them Assistant and the popular Chrome browser. Similar to Android Pay, it’ll also be possible to use information (cards and payment) stored on the platform across an array of apps and websites. For cities like Kiev, London and Portland, Google Pay users will be able to use it to make transit payments. As you’d expect, Google will soon integrate Google Wallet services into Google Pay for those in the U.S. and UK, however, we still don’t know when this will be happening. For now, the company has rebranded the Wallet app to Google Pay Send and even redesigned the interface to match that of Google Pay, an indicator that it’ll soon be merged with the new payments app.